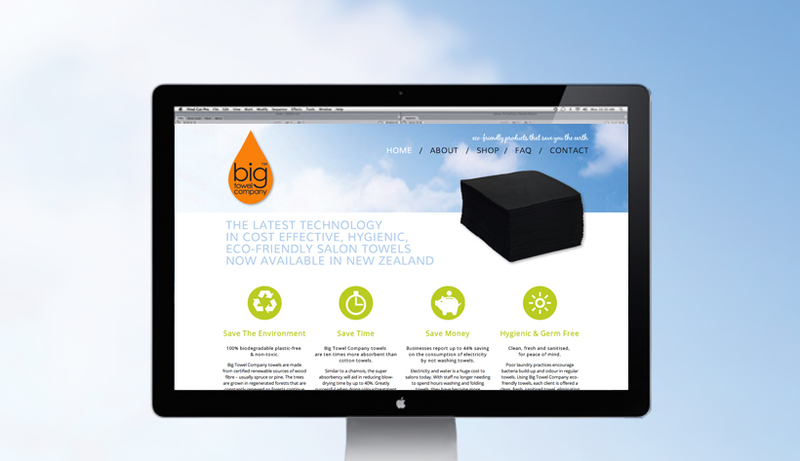 A web solution for the New Zealand branch of Big Towel Company, a supplier of eco-friendly salon towels. The website was designed with a clean layout to reflect a feeling of freshness. Eco-friendly icons and graphic elements were also incorporated into the design to highlight the sustainability of the product range. An online shop powered by Paymate allows customers to order and purchase products online.